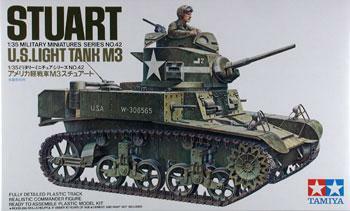 The M3 Stuart light tank was developed by the U.S. Army in the 1930’s. 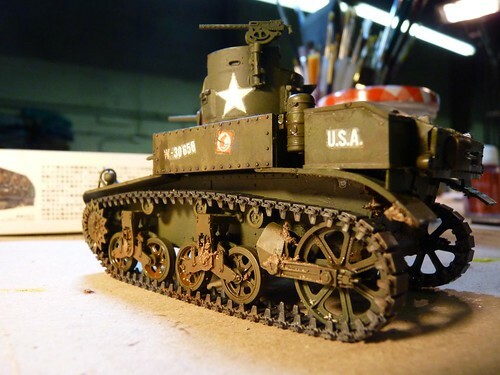 It had many mechanical features found on later U.S. Tanks, especially the M4 Sherman medium tank: aircraft style air-cooled rotary engine, VVS suspension. 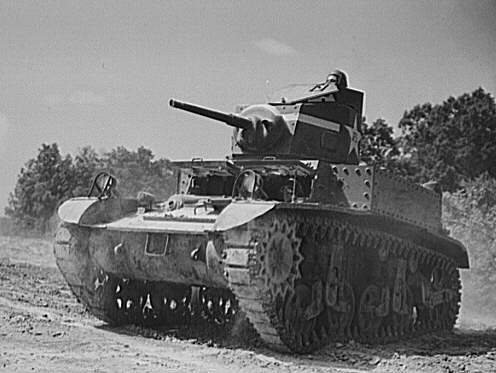 By World War II, although the Stuart was fast and reliable it was under-gunned and lightly armored. 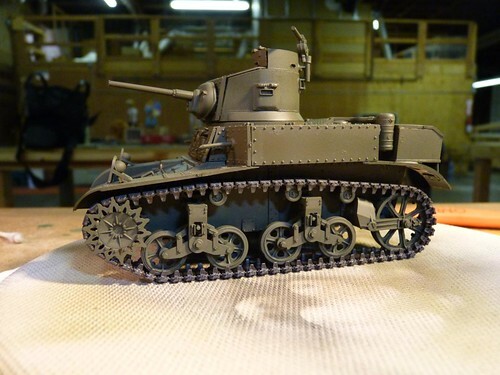 Unfortunately these were problems the later M4 Sherman also shared. 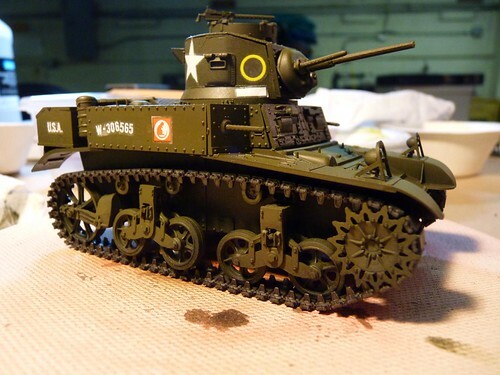 This was April’s first plastic model but the kit assembles easily and the fit is very good. 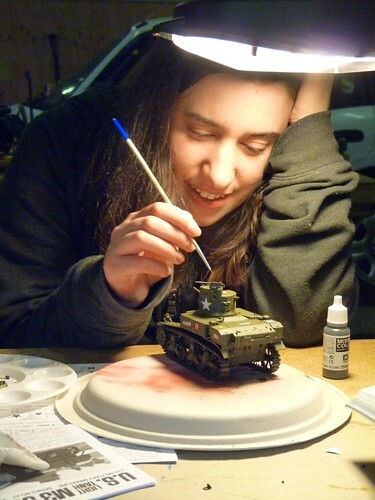 Within a couple sessions April had completed construction and I helped with a basic coat of paint. 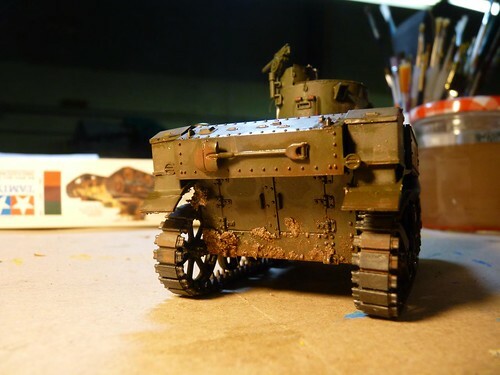 We applied a gloss coat and April added decals. She took considerable creative license with the markings. 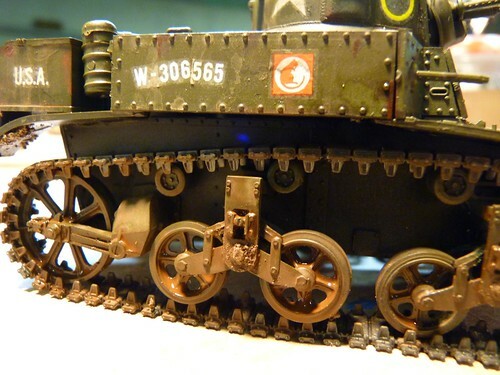 Next April started weathering and this was her favorite part since she could use her good hand painting skills. She is very happy with the results. 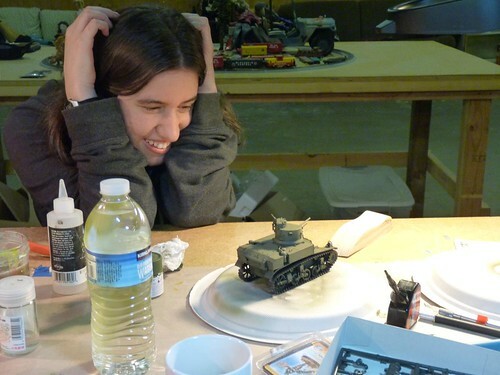 April enjoyed her first tank project and has moved on to a Russian WWII T-34/76 which we will write about soon. This entry was posted by Dan Swearingen on Wednesday, July 4th, 2012 at 9:51 pm	and is filed under Student Projects. You can follow any responses to this entry through the RSS 2.0 feed. Both comments and pings are currently closed.